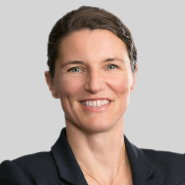 Christina Hultsch, attorney in Porter Wright's International Law Practice Group, was interviewed for and quoted in the Washington Internet Daily article, "Multinational employers whipsawed by varying data-protection rules, says lawyers," regarding such global companies' challenges in dealing with conflicting requirements for handling data about their employees. "Holding particular information can be mandatory in one country and banned in another, said Christina Hultsch of the Porter Wright law firm. German companies must gather information about employees' religious affiliations to carry out a duty to withhold church taxes, Hultsch said. Those data shouldn't be sent to the U.S. for any number of legal reasons, she said on an American Bar Association teleconference this week. Recording internal merger or acquisition discussions can create privacy problems in relation to high-level executives, she said."